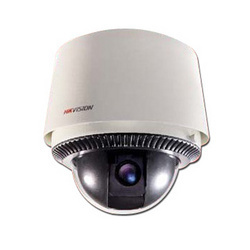 Prominent & Leading Wholesale Distributor from Mumbai, we offer ptz camera and ptz controller. 75°/s pan preset speed and 50°/s tilt preset speed. 0. 2-75°/s manual pan speed and 0. 3-50°/s manual tilt speed. Note : The Product Price Ranges from Rs 25500 to 85000 Per Piece. Design to provide convenient operation in high speed domes, matrix switching system, digital cameras and frame processor. Easy way of protocol selection makes this controller as versatile and important unit in the system. Can call all cameras, program monitor switching queues and control decoders. LCD can display system time, monitor number, camera number and operating status. The controller has the function of protection with locking controller operation. The unique joystick with Pan, Tilt and Zoom function makes the controller simple and easy to operate.